In this world of the Internet and technology, photo editing means a lot more than just cropping or moving someone’s face on someone else’s body. Now photo editing has become more advanced. It requires a good number of applications and software like Adobe Photoshop and Lightroom for editing photos. Especially for a professional photographer who need to perform very precise edits and manipulate photos on a grand scale, you need a laptop that can handle all these tasks efficiently. Just like other laptops, buying the best laptop for editing photography is not an easy task. There are a lot of things to check in a laptop for photo editing such as the processor, RAM, graphics, display and more. In order to reduce your extra efforts, we’ve compiled a list of best photo editing laptop 2019 you can currently find. Before you rush to the store to buy a laptop for photo editing work, you need to check a few important things on the laptop for editing photography. Processor: A powerful processor is a must-have for photo editing work. 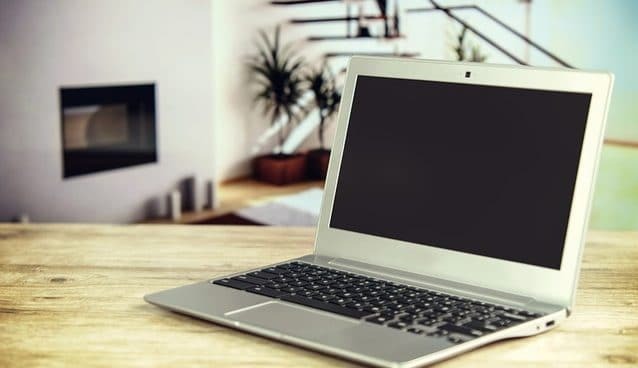 Many of the new laptops or notebooks come with dual-core processors like i7-7700HQ and i5-8250U processors, that are ideally suited for photo editing or video editing works. These processors are quite power-efficient and won’t let you down regarding the performance. For most demanding photo editing applications like Adobe Photoshop, i7 and i5 work much faster than AMD processors. Operating System: You can use both Windows or MacOS for photo editing but going with MacOS is probably be the best option. Many people in this industry prefer a Mac over PC because they are more stable for this kind of work. RAM: The more RAM, the better you can work with your laptop. For most photo editing purposes, get something that has 8GB or more. If you have a good budget to buy a laptop for photo editing, go to 16GB or higher because it will allow actual multitasking. Hard Drive: For photo editing, you need a hard drive that will provide you with enough storage capacity for HD images and other files. The best laptop for photo editing should have minimum 1TB of hard drive or you can go for SSD storage. As SSDs are way faster than hard drives so it would be better than HDD. We recommend you to choose a laptop with a combination of SSD and HDD both. Display: Unlike with a gaming laptop, you’ll need a laptop with high resolution (i.e. 1920 x 1080) for normal editing works but if have to edit 4k resolution images then you need a laptop with 3840 x 2160 with a true IPS display. Apple laptops always remain on the top priorities for professional photographers and video producers. As they are capable of handling high-end graphics tools so are widely used for photo editing and video editing works. 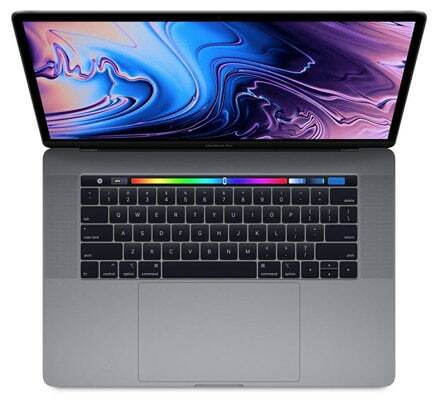 Here is a powerful Apple 15-inch MacBook Pro which comes with powerful 8th generation Intel Core i7 processor that can handle multiple high-definition image files and provides fast performance. It comes with 15.4-Inch full HD retina display with a resolution of 2880×1800 pixels. For storage, this laptop backed by 16GB of LPDDR3 RAM and 256GB of SSD storage making it powerful enough for multitasking. The laptop doesn’t have the discrete graphics card, but Radeon Pro 555X coprocessor is more than enough to handle anything you do. If you’re not on a tight budget and want to buy a high-end machine then this Apple 15″ MacBook Pro 2018 would be the best laptop for photo editing work. If you need a larger display for editing photos, then don’t worry. The MacBook Pro also comes in a 15-inch variant, which is priced slightly higher than 13-inch but is surely worth every dollar you spend on it. 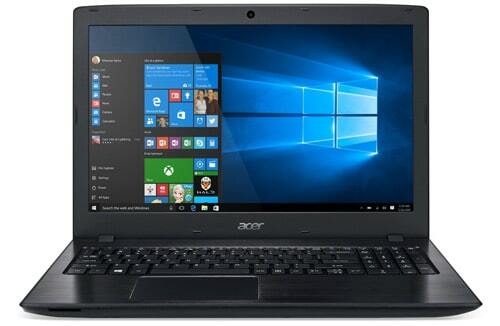 If you are on a tight budget but want a laptop that can perform well with your photo editing work then this Acer Aspire E 15 series laptop would be perfect for you. It is powered by the latest 8th generation Intel Core i5 paired with an 8GB of RAM and 256GB of SSD for storage. It has 15.6-Inch full HD display widescreen LED IPS display which is very good for photo editing work. 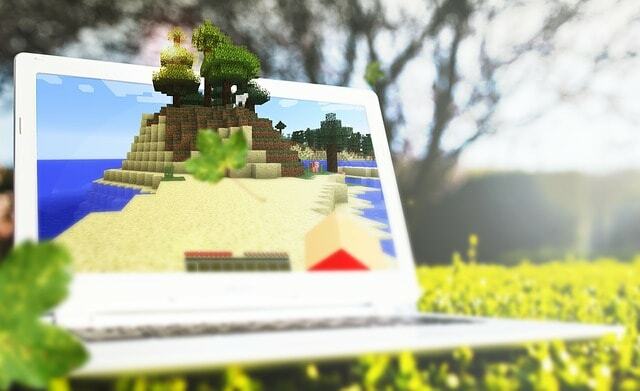 The graphics on this laptop is driven by NVIDIA GeForce MX150 with 2GB of a graphics card. The Acer Aspire E 15 runs on Windows 10 and its backlit keyboard makes you able to edit photos at night. Apart from all these specifications, the laptop gives you a long-term battery life of up to 15 hours. 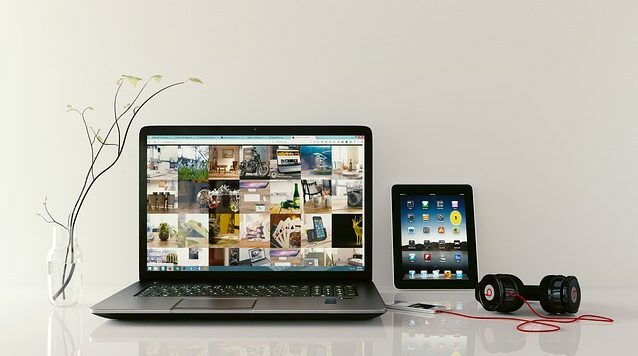 It means you can do your photo editing work for a long time without worrying about the charging. Overall, it is a perfect laptop under budget for editing photography and storage. 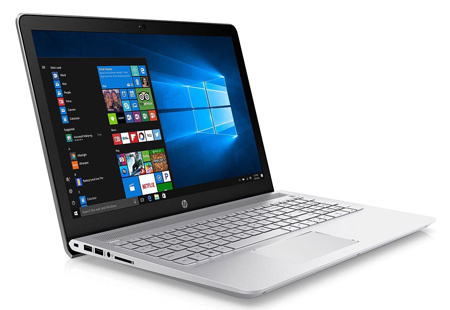 HP Pavilion 15-cx0042nr is a powerful laptop for photo editing. Not only that it is also one of the best gaming laptops you can buy with the high-end performance and specifications. It has 15.6-Inch full HD IPS display with a resolution of 1920 x 1080. With its anti-glare coating, you will be able to enjoy crystal-clear images with 178-degree wide-viewing angles. The laptop is powered by 8th generation Intel Core i7 processor paired with 16GB of DDR4 RAM making it efficient to handle a lot of handle with ease. For storage, the laptop comes with the combination of 128GB SSD and 1TB hard disk drive that will provide you with enough room for storing your high definition images and files. It sports NVIDIA GeForce GTX 1050 TI 4GB of a dedicated graphics card that makes it efficient for handling gaming and heavy image editings applications such as Photoshop and Lightroom. 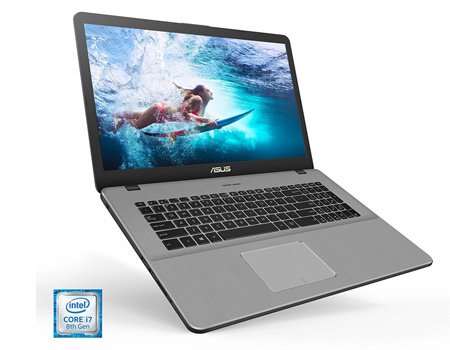 ASUS ZenBook is a slim and lightweight ultrabook with stunning design. It comes with a durable brushed-metal finish, which gives it all the premium look. The laptop is powered by latest 8th generation Intel Core i7 processor which can be turbo up to 4.6GHz. The laptop comes with 15.6-Inch full HD display with a resolution of 1920×1080 pixels, which is absolutely crisp and sharp. With an ErgoLift hinge feature, this ultrabook is able to automatically tilt the keyboard to optimize your user experience. Its Nvidia GeForce GTX 1050 Max-Q discrete graphics coprocessor is powerful enough to edit several photos at the same time. For even smoother multitasking, the laptop offers 16GB of DDR4 RAM and 512GB of SSD hard drive which is fast, reliable, and efficient. Apart from these hardware specifications, this laptop weighs only 3.7 pounds and gives a longer battery performance of 12 hours. All these specifications make it an ideal laptop for photo editing. Dell XPS series is the most recommended laptop series along with Apple MacBook Pro for image processing and editing work. Here the Dell XPS9570 is considered to be the high-end laptop that can do everything you need for photo editing work and much more. It comes with a silver color aluminum chassis, which gives it a premium touch and feel. It is the smallest 15-inch performance-class laptop with full HD InfinityEdge anti-glare display which gives sharp and wide viewing angle. It is the only laptop with 100% minimum Adobe RGB display making it the best laptop for photo editing. The laptop is powered by 8th generation Intel Core i7 quad-core processor clocked up to 4.1GHz. It comes with 16GB of DDR4 RAM which is good enough for multitasking. The notebook also paired with 512GB SSD provide plenty of storage room and high-performance responsiveness to run your applications quickly. The laptop comes with a 4GB of NVIDIA GeForce GTX 1050Ti dedicated graphics card for the smoothest image editing. Its backlit keyboard makes it possible to edit photos in low-light or no-light rooms. 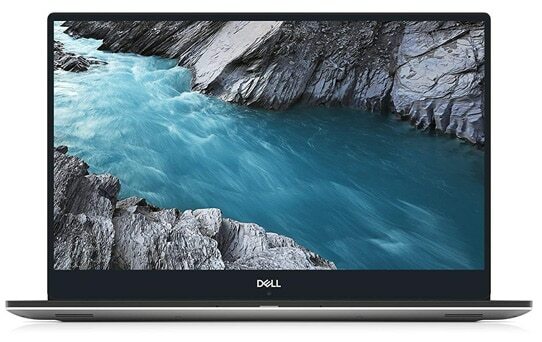 All these powerful specifications make this Dell XPS series laptop one of the best laptops for photographers and photo editing. 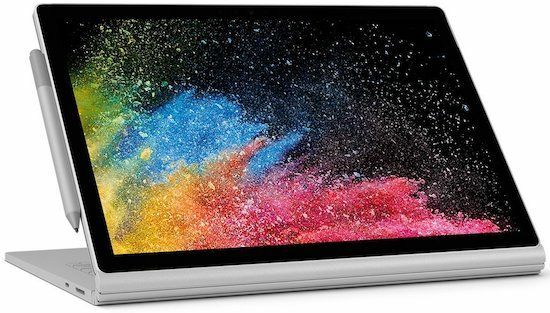 If you are looking for a 2-in-1 laptop for photo editing and image processing work then Microsoft Surface Book 2 would be an ideal choice for you. Microsoft’s Surface Book 2 is an even stronger MacBook Pro competitor based on its powerful hardware specifications and performance. It is a detachable laptop, which comes in two different sizes i.e. 13 and 15-Inch. You can turn the screen over and re-attach it to the base based on which type of working mode you prefer. It means you can go from a laptop to a note-taking tablet the next to a graphics tablet thereafter. If we talk about its hardware specifications, the laptop is powered by 7th generation Intel Dual Core i5 processor paired with 8GB RAM and 256GB of a solid-state drive. It runs on the Windows 10 operating system which makes this laptop more efficient for photo and graphics editing task. It comes with Intel HD 620 integrated graphics card but there’s also option to opt for latest NVIDIA GeForce GPUs in the higher variant. The laptop weighs about 3.38 pounds which is very light to carry. With 17 hours of battery life, you can stay productive for a long time. Overall, this is a perfect laptop for photo editing professionals as well as for other purposes. 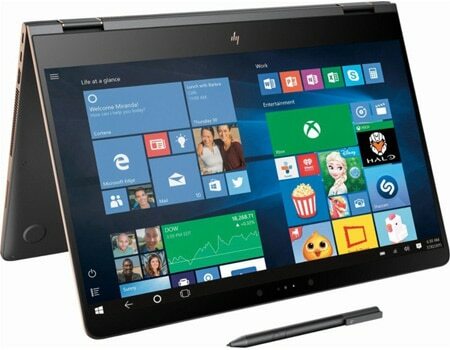 The HP Spectre X360 is another best laptop for photo editing which comes with cutting-edge design aluminum chassis which is finished in dark ash grey color. It has several attractive features that make it suitable for photo editing. The laptop is powered by the latest 8th Generation Intel Core i7 Quad-Core processor paired with 16GB of DDR4 RAM and 512GB of SSD for storage. 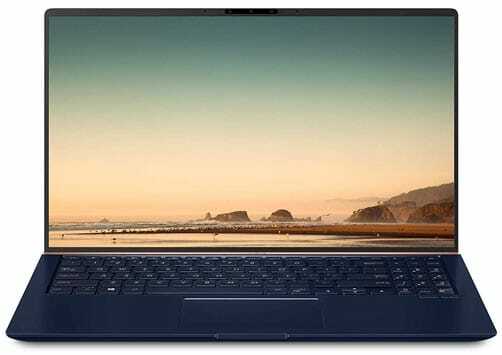 It sports 15.6-Inch 4K ultra-HD backlit touchscreen display with a resolution of 3840 x 2160 pixels. For graphics, the HP Spectre x360 has powerful NVIDIA GeForce MX150 with 2GB of dedicated graphics memory, which is enough for all photo editing apps. The laptop comes with an Active Stylus Pen to sketch, blend, write, and navigate with astonishing accuracy. It comes with pre-installed Windows 10 allows you to do almost any task. All in all, it is is a perfect blend of work, play, and power making it an ideal laptop for editing photos and visuals. ASUS VivoBook Pro is one of the most portable laptops you can buy under $1000 price range. It is the most recommended laptop for photo editing 2019 because it provides everything that could make any laptop an ideal choice for editing photos and videos. From lightweight chassis to high-performance hardware to long battery life, the ASUS VivoBook Pro fulfills all of them. It comes with 17.3-Inch full HD display with WideView technology, which offers more clear, rich and more accurate colors. It sports latest 8th generation Intel Core i7 processor paired with 16GB of RAM. Storage on the device is handled by a 256GB SSD with 1TB HDD for faster file accusing speeds. For graphics, it comes with NVIDIA GeForce GTX 1050 with 4GB of the dedicated graphics card which is powerful enough for all photo editing apps such as Adobe Photoshop and Lightroom. The best part is that it is thin, lightweight and long battery life laptop that let you do your work from anywhere you travel. Overall, the laptop is yet another perfect laptop if you’re looking for the best laptop for photographers. This is another HP laptop on our list of top 10 best laptops for photo editing. It comes with silver color polished metal reflective chassis, which gives it all premium touch. The laptop is powered by 8th generation Intel Core i7 processor clocked at the 2.7GHz frequency. The laptop comes with 15.6-Inch full HD WLED-backlit display with 1920 x 1080 resolution which offers excellent viewing angles. For multitasking, the laptop is provided with 16GB of DDR4 RAM and for storage, the laptop is featured with 512GB of a solid-state drive for fast loading. As it runs on the latest Windows 10 Home, it is compatible with many of the latest versions of photo editing software. 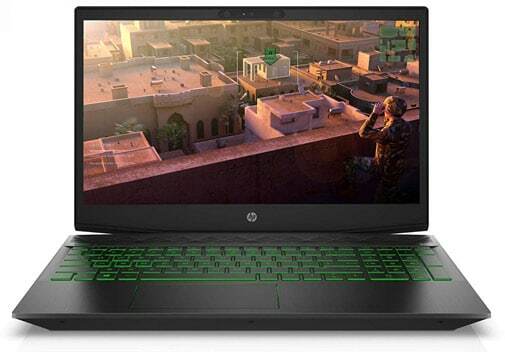 For graphics, this HP laptop comes with Nvidia GeForce 940MX with 4GB of dedicated memory which should be enough for most of the photo editing applications. The laptop weighs only 4.6 lbs and has a battery life of up to 7.75 hours. All these set of powerful configurations make this laptop one of the best choice for students for multimedia usage such as photo editing, video, and audio editing and more. In 2019, Microsoft Surface Pro is the most versatile laptop you can buy for your photo editing work. 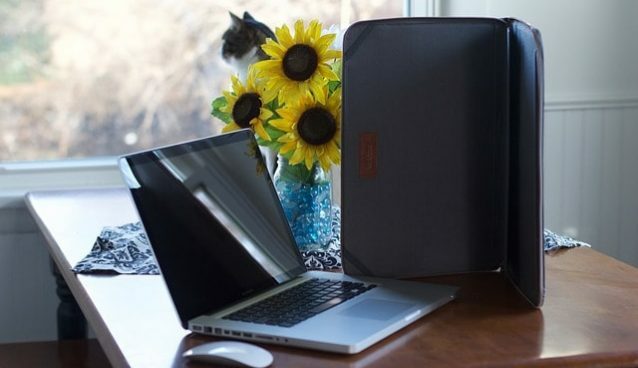 It comes with an ultra-portable design having different working modes such as laptop mode, tablet mode or studio mode. It sports 12.3 Inch PixelSense ultra HD display with a resolution of 2736 x 1824 pixels. Do note that Surface Pen and Surface Pro Signature Type cover are sold separately they are not included in the package. The laptop sports with 7th generation Intel Core i5 Kaby Lake Processor paired with 8GB of RAM and 256GB of SSD storage. Microsoft is also claiming much-improved battery life—up to 13.5 hours on the new Surface Pro. The laptop runs on Windows 10 Pro operating system which is good if you’re into photo editing. Although, you have to buy a detachable keyboard separately. This will increase your spending limit but, if we look at its powerful configurations, this is one of the best laptops for photo editing and photographers. 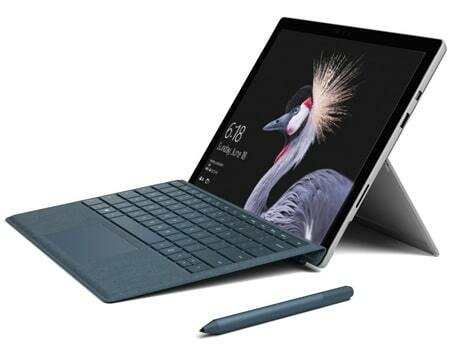 There’s the latest model in Surface Pro series laptops i.e. 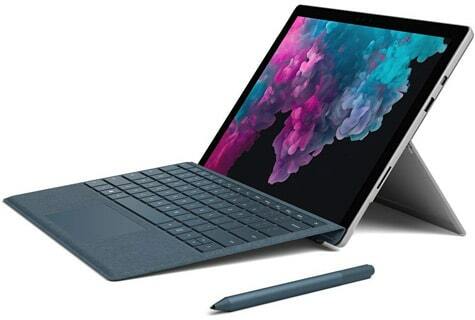 Microsoft Surface Pro 6 which comes with latest 8th gen Intel Core i7 processor paired with 16GB of RAM, 1TB of SSD and 12.3-inch full HD display. 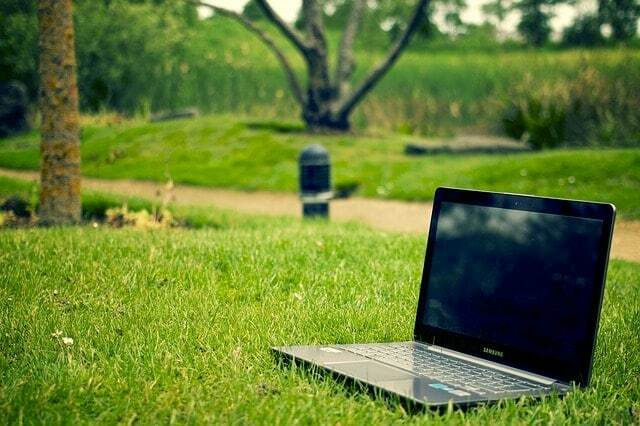 The laptop offers 13.5-hours of battery life and weighs only 1.7 pounds making it an ideal choice for photo editing. Click here to know more. Picking the one ‘best laptop for photo and video editing’ would be unviable. It all depends upon your own experience and usage whether a machine is the best fit for you or not. With a premium display, HD graphics, fast processor, it perfectly sums up what best laptops for photo editing should offer. We think our short review of photo editing laptops will help you to find the best machine. If you still need any suggestions or guidance related to the laptops, feel free to ask and leave a comment below. Which one is the best please? If you can afford then get yourself the ASUS VivoBook Pro from the above list. It will be best for photo editing and other demanding tasks.